Brooke Dietrich's first task at her summer job at Wilfrid Laurier's sustainability office was to find a way to repurpose more than 30 foam mattresses. Now they have been turned into beds for foster pets. Wilfrid Laurier's Brooke Dietrich had her work cut out for her when she started her job with the university's sustainability office this summer. On her first day on the job, she was tasked to find a way to keep more than 30 foam mattresses from the university's Move Out program, collected at the end of the school year, from ending up in the landfill. "Foam mattresses are an extremely hard item to recycle," Dietrich told CBC KW. "We talked to Habitat for Humanity and other places that accept gently used goods...but a lot of them, for hygienic reasons, couldn't accept them." So Dietrich took to Facebook and a friend pointed her to a local organization, Ground Search and Rescue KW, who helps rescue foster and lost pets. "They were able to accept all of the foam mattresses and turned them into beds for foster dogs," Dietrich said. Katt Burtenshaw with GSR KW is a big believer in repurposing and reusing items — she knew exactly what to do with the foam mattresses. "We have a woman who makes pet beds and also makes blankets for the elderly over Christmas time," Burtenshaw said, adding that they donated the mattresses to local homeless individuals as well. Dietrich and Burtenshaw said foster pets tend to really enjoy their beds, especially senior pets. "These foam mattresses are very good for new foster dogs that are real young, but they are also good for older foster that maybe have gone through a lot in life and need something softer and something to call their own," Dietrich said. The foam mattresses have even helped other foster pets outside of Waterloo region. GSR had an abundance of foam mattresses so they donated a number to other foster organizations up north and in Nova Scotia. 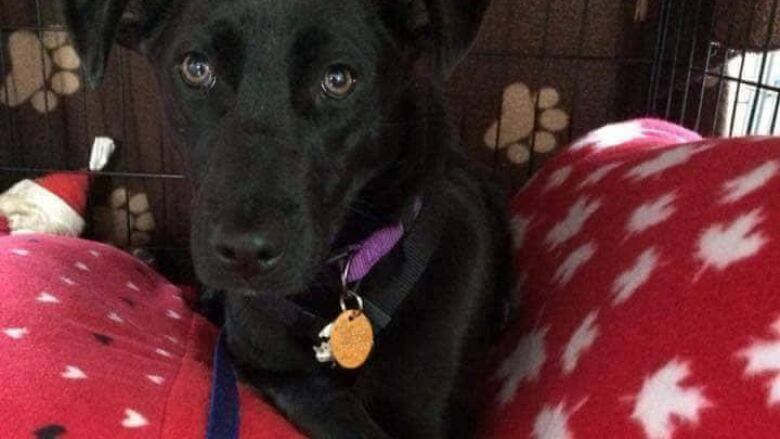 Burtenshaw shared a recent Facebook message from an individual who received a pet bed for her foster dog Angelica, a nine month old Labrador mix, who came from a hoarding home. "Angelica has been with me just over a week now and has gotten the hang of doing her business outside and since she now keeps her crate clean, she's been given her very first bed," the post read. "I just want to say thank you for sharing the donations, Angelica appreciates it."